Welcome to Episode 12 of ourIrish writers showcase series. 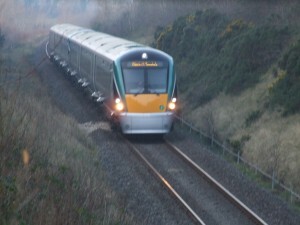 On this episode you can enjoy A reading from Vincent Caprani as he extolls the virtues of Bray in County Wicklow from his book “A View From The Dart”, Michele Ann Kelly performas “Lost in Paris” Thom Moore sings “The Scholar” (The train from Sligo) while Macdara Galvin performs “James Connolly” a song written and made famous by his late father Patrick Glavin. More readings from Kate Kerrigan from “Recipes for a Perfect Marraige” and we have poetry from Padriag J Daly reading his poem “Complaint”. Click on the play button below to listen here or download and save to listen later. This entry was posted on June 6, 2011, 5:24 pm and is filed under showcase. You can follow any responses to this entry through RSS 2.0. You can leave a response, or trackback from your own site.